Phoenix Systems, in an effort to gain more recognition in the heavy-duty market, will now be featuring a MaxProHD with an adjusted length and customized fittings for clutch bleed screws. 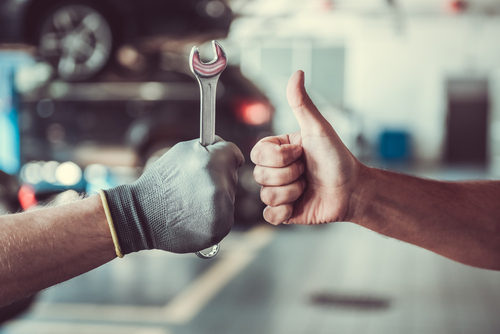 These adjustments will allow diesel mechanics to significantly cut the time it takes to bleed hydraulic clutch systems. 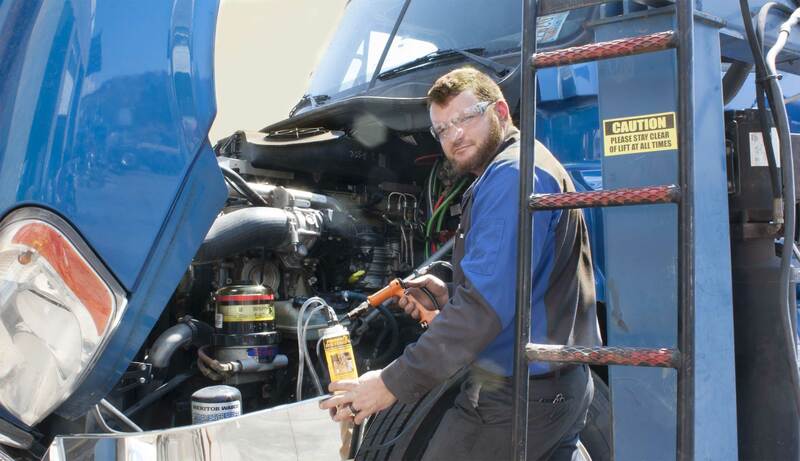 St. George, UT; September 16, 2016: Trevor Andrus is a diesel mechanic at Andrus Transportation, which owns a fleet of 320 tractors and 800 trailers. Recently Trevor discovered both Freightliner and Peterbilt have changed from their mechanical clutch system to a hydraulic system. Hydraulic clutch systems aren’t a new concept. Volvo Trucks have been using a hydraulic operated clutch for over 20 years. Hydraulic clutch problems often arise when a line leaks, or a slave cylinder no longer builds pressure. Considering trucks are exceeding over 1 million miles, these problems are occurring multiple times during their lifespan. With more trucks becoming equipped with a hydraulic operated clutch, Trevor has had more than his share of clutch bleeding nightmares. In the past, Trevor removed the slave cylinder and hand pumped it for over 2 hours to get the trapped air out of the clutch system. He said that he resorted to removing the slave cylinder because pumping and holding the clutch pedal proved to be an even longer process. “There are multiple clutch bleeding jobs each week that are taking all my time, and it frustrates me to see other guys in the shop replace an entire clutch system in the same amount of time,” said Trevor. Out of frustration, Trevor asked his Snap-on driver if there was something that could get the air out of these almost impossible clutch systems. Initially, he was offered a vacuum bleeder, to which he replied, “been there done that, and it didn’t work.” Trevor then asked if there was a tool that could push the fluid in the opposite direction, similar to removing the slave cylinder and hand pumping it. The Snap-on driver then recommended that he try a reverse brake bleeder that was featured at a recent trade show he attended. The key component that caught Trevor’s attention was the reverse bleeding process. Based on previous clutch bleeding experiences, he said the most frustrating part is trying to push all of the air down and out of the clutch lines. Phoenix bleeders take advantage of physics and push the trapped air in the direction it naturally wants to go, “up”. This patented technology was able to break down the clutch bleeding process from 2 hours, all the way down to 15 minutes. Trevor’s success lead him to reach out to Phoenix Systems to give some constructive feedback and share his excitement. Trevor said that while the Phoenix bleeder saved him 2 hours of his time, there were a couple suggestions that he felt would make a Phoenix bleeder even better equipped to bleed a heavy-duty clutch. He recommended that the outlet hose be longer and the fittings more customized for clutch systems, then it would be perfect. Trevor’s feedback motivated Phoenix Systems into determining how to make the MaxProHD Reverse Bleeder better fit for heavy duty clutch systems. After months of testing and with the assistance of Trevor and many other diesel mechanics, Phoenix Systems is proud to announce the addition of a longer outlet hose and upgraded fittings to make bleeding a heavy-duty clutch, a one-man, 15 minute, more reliable repair. 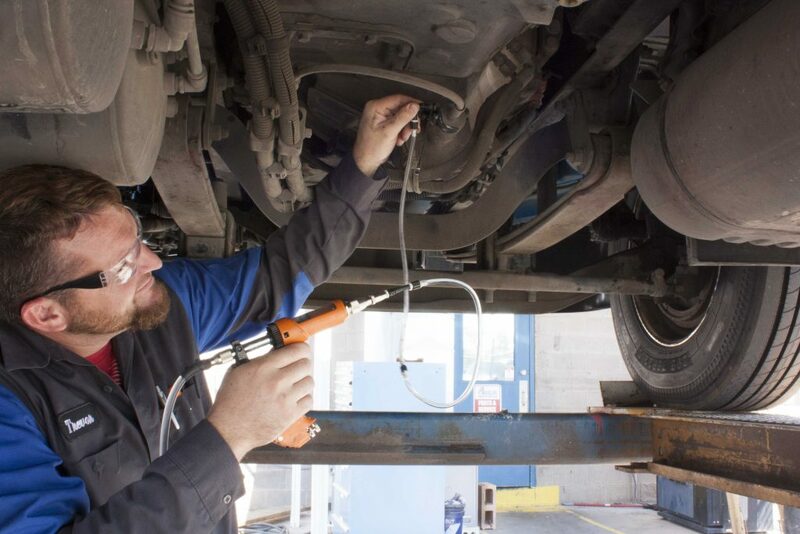 Phoenix Systems is excited to strengthen its presence in the Heavy-Duty market and is hoping that many technicians similar to Trevor and Andrus Transportation will catch onto the convenience a reverse clutch bleeder is able to provide.